Marquette men’s basketball is celebrating 100 years of success this season. We looked back at the 10 greatest moments in the program’s history, from Bo Ellis to Dwyane Wade. Marquette basketball was finally back on the grid after a disastrous end to the 1980s. Much of that was due to Tony Smith, the program’s all-time leader in average points per game (23.8). In the 96th meeting between Wisconsin and Marquette, Smith erupted for 44 points at the Wisconsin Field House. This still stands as the most points in a single game from an individual in Marquette’s history. Despite the 44-point effort, Marquette fell 82-65. With less than 10 seconds left in a classic Marquette-Notre Dame showdown, the Golden Eagles had the ball with the score locked at 65 points each. As the clock wound down Joe Chapman handed the ball off to Steve Novak, who was heading to the corner. Novak pulled up and turned as he approached the baseline, draining the longest possible 2-pointer with one second remaining to lift Marquette to victory. Novak put up 28 points in the contest. Marquette lost in the first round of the NCAA tournament later that season. 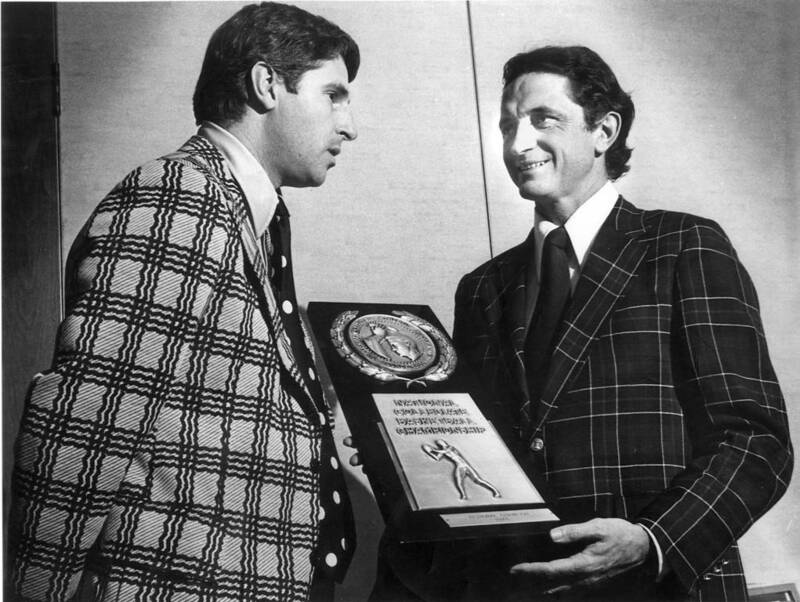 In January of 1981 an unranked Marquette squad was facing a tough matchup against No. 5 Notre Dame. The Golden Eagles were looking to bounce back after a home loss to Southern Mississippi. The game was tied with time for one last heave toward the hoop by Marquette. The inbound pass went to freshman guard Glenn “Doc” Rivers, who turned and fired immediately, sinking a long-range buzzer beater to give the Golden Eagles their best win of the season. The team went on to play in the NIT tournament. Buzz Williams was already known for his weird, quirky antics by his fourth season on the job. However, he took it a bit further on a Friday night in Morgantown, West Virginia. At 23-5 overall and 12-3 in the BIG EAST, the Golden Eagles were flying high heading into their 16th conference game. That was until Williams decided to suspend starters Darius Johnson-Odom, Vander Blue and Junior Cadougan for the first half and Todd Mayo for the second half for a violation of team rules. Despite missing four key players, Marquette was able to claw back and erase a double-digit halftime deficit on the way to a 61-60 victory. Williams was caught on camera dancing to “Take Me Home, Country Roads” by John Denver after the victory. The classic tune is the theme song for the Mountaineers and thus sent the fan section into a frenzy. “I was just really excited,” Williams said in the postgame press conference. It was the first time Marquette reached 13 wins in the BIG EAST Conference. The shining moment in one of Marquette basketball’s greatest seasons ever came after a dramatic victory over Wisconsin. Maurice Lucas hit a last second winner to knock off their bitter rivals, who were led by twins Kim and Kerry Hughes. After the win, McGuire leapt up on to the scorer’s table to celebrate. As he raised his fist in glory, Glenn Hughes, father of the twin stars, flipped McGuire the bird. The legendary image captures this moment perfectly. To top it off, in the forefront of the image defeated Badger coach John Powless walks across the court with his head down. The iconic photo captures the glory of McGuire’s reign at Marquette. Marquette’s 2013 Elite Eight run nearly didn’t happen. In the first round the No. 3 seed Golden Eagles took on the No. 14 seed Davidson Wildcats. Marquette trailed by seven points with less than two minutes to go. A pair of 3-pointers by Jamil Wilson, another by Vander Blue and a timely Davidson turnover gave the Golden Eagles the ball with 5.5 seconds to play, down by one. Blue received the inbound pass near half court, drove to the hoop on a screen set by Davante Gardner and finished the left hand layup with just one second to play. Blue intercepted Davidson’s Hail Mary inbound pass to give Marquette the win, setting up their path to the Elite Eight. No one expected Marquette to finish at the top of the highly competitive 2013 BIG EAST Conference. Marquette proved the experts wrong throughout the season, defeating then-No. 16 Pittsburgh, No. 12 Syracuse and No. 21 Notre Dame. The success culminated in the Golden Eagles earning a share of the BIG EAST regular season title in dramatic fashion in the regular season finale against St. John’s. Vander Blue got an inbound pass with the game tied at 67 with 7.4 seconds remaining in overtime. The Golden Eagle point guard navigated around two Red Storm defenders and drove to the basket to hit a one-handed layup as time expired, creating a three-way tie between Marquette, Georgetown and Louisville. It was the Golden Eagles’ first BIG EAST regular season championship in their eighth year in the league. Dean Meminger holds his NIT Most Valuable Player trophy with Herbert Sutter, the president of the Metropolitan Intercollegiate Basketball Association. Al McGuire turned down a bid in the NCAA Tournament in 1970 due to his disdain over the Warriors’ placement outside the Midwest region of the bracket. He instead took a spot in the National Invitational Tournament, a move that would result in hardware for Marquette. The Warriors defeated McGuire’s alma mater, St. John’s, 66-53 to win the NIT Championship. The guard duo was vital for Marquette, as Jeff Sewell and Dean Meminger, who was named the tournament’s most valuable player, combined for 38 points in the title game. This situation will never happen again, as now a team cannot participate in another postseason tournament if they turn down a NCAA Tournament bid. After squeaking out victories in their first three games of the tournament, the Golden Eagles came out firing against top-ranked and top-seeded Kentucky. Junior Dwayne Wade was a superstar all night. The Marquette legend finished with 29 points, 11 rebounds and 11 assists and was a human highlight reel. At the time, this was just the fourth triple-double in NCAA Tournament history. Transfer Robert Jackson also had a tremendous game, registering 24 points and 15 rebounds. Freshman Steve Novak shot the lights out, going five for eight behind the arc. Marquette simply dominated on both ends of the floor against the tournament favorites. 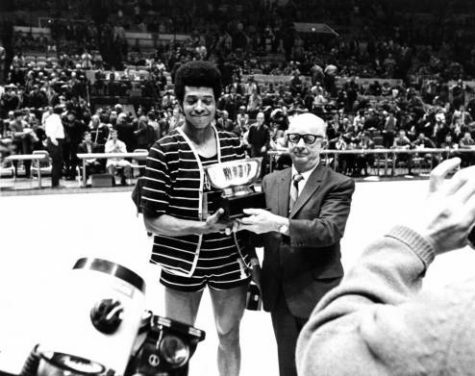 When people think Marquette basketball, there’s usually one number that comes to mind — 1977. Amidst plenty of adversity, including McGuire announcing his retirement and the Warriors losing seven times, Marquette made a run that will never be forgotten on this campus. After victories against Kansas State, Wake Forest and UNC Charlotte, McGuire and forward Bo Ellis ended their Marquette careers in style, controlling North Carolina’s four corners offense to claim the program’s first and only NCAA National Championship, 67-59. McGuire, who was walking away from the game at the young age of 48, stepped onto the Atlanta Omni court with tears in his eyes. Ellis, who vowed he’d return to the Final Four after the Warriors fell in 1974, scored 14 points. Butch Lee, whose number hangs up in the rafters next to Ellis, led the team with 19 points and was named the Final Four’s most valuable player.